Before you understand your Virgo, you first have to find them. Look past the flamboyant Leos, the mysterious Scorpios, and the take charge Capricorns and there in the corner you will find the Virgo. Diligently working on one or all of their projects. Eyebrows knitted together, deep in concentration and looking like an angel in the glow of their desk light. There is a purity to Virgo and a self-effacing quality that can be refreshing. The symbol of Virgo is the Virgin holding a sheaf of wheat. It is in Virgo that we harvest the creative seeds of Leo. No matter how fabulous Leo is, if it wasn't for Virgo most of those fabulous creations wouldn't come to pass. Virgos know there is work to be done and they are always willing to do it. In fact they love picking things apart and then synthesizing things back into a more perfected form. This search for perfection is the Virgo's greatest asset and their greatest downfall all at the same time. Virgos get a bad rap for being hypercritical. 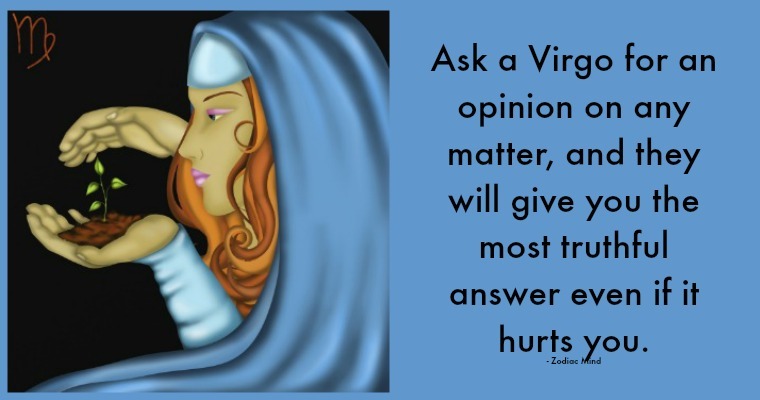 This is not necessarily untrue, yet we must have some empathy for Virgo, as they will never judge anyone harder than they judge themselves. So if you find the Virgo in your life exhibiting this quality appreciation is the best cure. How can you appreciate someone who is critical? Admittedly that can be difficult, yet the hypercritical nature of Virgo is not a foregone conclusion, it's a symptom of a common problem the Virgo faces. Being taken for granted. A quiet sign by nature and one willing to do what it takes to get the job done, it is easy to forget how hard they are working for you. The squeaky wheel gets the grease and Virgos rarely squeak. Mainly because of their own, 'prepare for any eventuality' mindset, they have brought their own grease for the sake of efficiency. Yet they are not machines, so we must always show them our gratitude, because face it, without Virgos the world would most likely stop in its tracks. Virgo is the sign associated with health and wellbeing, so your Virgo may be watching your sugar intake like a hawk, replacing your yodels with carrot sticks. Know that they do this out of their love and concern for you and not to just be a buzz kill. And it's not like they aren't fun, in their own way. Virgos strive to be better, make better and do better. Let's love and appreciate them for their strengths and forgive them their 'tendencies' and the world will be a much more efficient and beautiful place.